The idea of creating the Central Park and the Amphitheater located within it originated with Bensalem's visionary Mayor, The Honorable Joseph DiGirolamo, and our progressive Township Council. With the advice and assistance of a Central Park Committee, a fundraising arm- The Friends of Central Park, the dream became a reality. 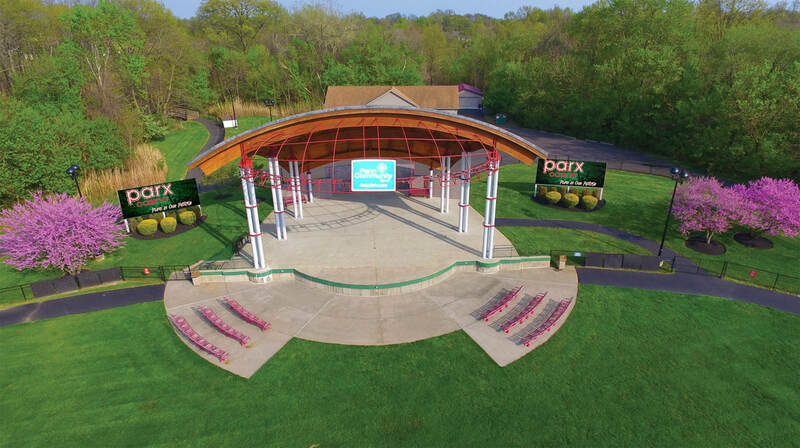 The magnificent Penn Community Bank Amphitheater is the jewel of Bensalem Township's beautiful Central Park at 2400 Byberry Road. Adjacent to the Municipal Complex, the venue provides a wonderful opportunity for audiences to enjoy outdoor entertainment at its finest. The amphitheater can comfortably accomodate 3,000+ people in open lawn seating. From June through August, what better place than under the stars, with a soft breeze whispering, to enjoy a summer concert in an open setting. Bring a lawn chair or blanket and take pleasure in the sounds of a wide variety of performances. The venue has all the amenities, such as restrooms, concession stand, plenty of parking, and is ADA compliant. A Hospitality Plaza is available to sponsors and community groups for special gatherings in conjunction with concerts and other shows!